14 April 19 - Source: Global New Light Of Myanmar - The Ayeyawady Region is a delta area with full of rivers and creeks. Fertile land and abundant aquatic resources are major source of livelihood for local people. The region was widely known as a granary of Myanmar, and the promotion of its agricultural sector is largely related with easy access to the area. Development of road networks would help this delta area reachable without consuming much time. Reliable road transport could support businesses of the locals. To avoid wastage and obtain best benefit, the Union government is developing basic infrastructures across the country. 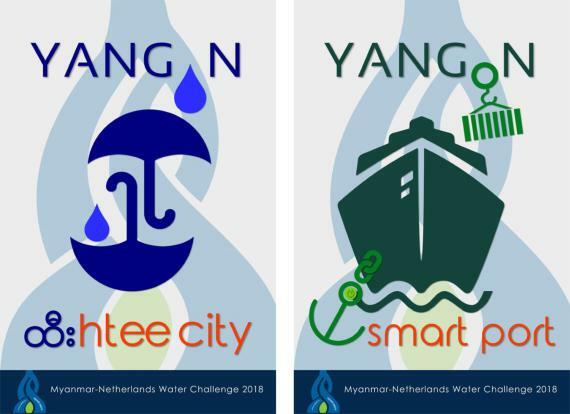 One of these projects is the construction of new Myaungmya Bridge. With the budget approval of the Hluttaw, a new bridge was constructed on 1 May 2017. It was finalized just less than two years on 30 March and people had access to it on 1 April 2019. The Steel Truss Deck Type bridge has 830 meter (2,723. 23 ft) length, 8.5 meter (28 ft) wide motor way and two pedestrian lanes with 3ft widtheach. The maximum weight is a total of 75 tonnes for both vehicle and loads. The old Myaungmya Bridge that crossed Yway River was constructed on 1 March 1994, and allowed for public on 18 September 1996. It collapsed on 1 April 2018 after 22 years of services. According to a local parliamentarian, the old bridge had suffered structural damage due to overweight vehicles crossing the bridge in the aftermath of Cyclone Nargis in 2008. The government has more works to be done for the strength of bridges across the country. For example, the relevant ministries are working to upgrade some suspension bridges in Ayeyawady Region to stronger Steel Box Girder structures. Unspoiled and pristine beaches contribute the advantage of Ayeyawady Region. These destinations are demanding easy transportation to attract both local and forging visitors. Due to its plenty of opportunities, the regional government is implementing development programmes in collaboration with both Union government and international organizations. With prioritized development plans in the agriculture, livestock and marine, forestry, industry, infrastructure, transportation and tourism sectors, many local and foreign investors have expressed their interest to do investments in this region. 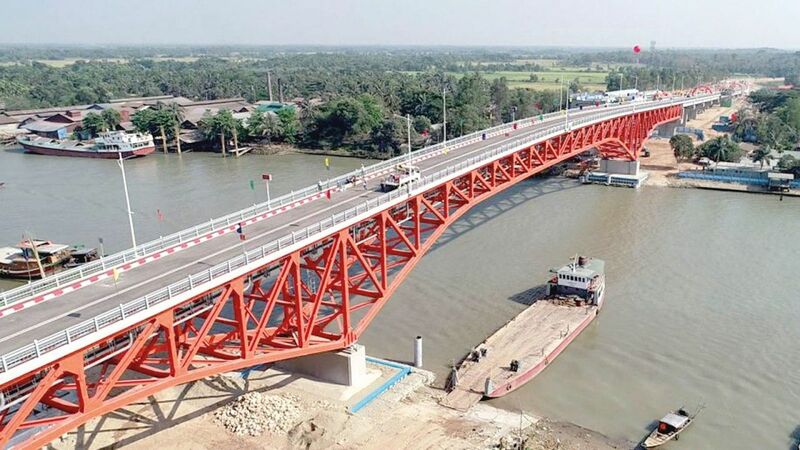 Moreover, the regional government is working together with its counterpart of Rakhine State and the Ministry of Construction in developing the Ayeyawady West Coast project that connects the coastal areas of the two regions. The China-Myanmar Economic Corridor and Greater-Mekhong Subregion Project will reach the west coast of Ayeyawady. Foreign investors will also be benefitted from this infrastructural development of sea ports, industrial zones, factories, highways, railways and national grid lines along the west coast. A US$ 5.5 billion-port project of Amera Asia Company of Thailand will include three industrial zones and four 700-MW power plants. The project is expected to finalize by 2025. Infrastructural development of this region plays crucial role in helping the country's GDP increase. Sufficient electricity supply and better road networks are required to produce finished products in this region. The Myanmar Investment Commission has enlisted 10 townships of Ayeyarwady Region as undeveloped areas where up to seven years tax exemption will be granted for the investors in these areas. Moreover, additional 17 townships, including the region's capital Pathein, are put into the list of moderately developed areas where the investors could enjoy tax exemptions of up to five years. Myanmar is inviting responsible investors to enjoy business opportunities of the country to ensure sustainable economic development on a country-wide scale as it is located in a strategic position to access to regional and global factor markets as well as product markets. In this regard, the Government is taking highest priority to be able to establish efficient national and international supply chains for future economic growth, with serious consideration on positive social and environmental impacts under the Myanmar Sustainable Development Plan (2018-2030).